Tennis News You Can Use! Congratulations to our Sectional USTA TEAMS: Way to go GENESIS! 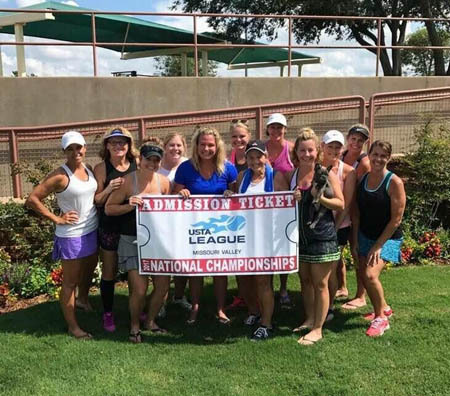 Congratulations to the following teams that have qualified for the USTA Sectionals. Many teams just played this weekend, stay tuned more championships to follow and results. 3.0 Womens - Kim Sanders Team-- came in first place at Sectionals and has qualified for Nationals. Genesis Players: Kim Sanders, Jody Holsinger, Ruth Ospino, Beth Spenceri. 4.5 Mens - Mitch Bennett's Team- made a strong effort and finished in 2nd place. Way to compete. Kim Sander's Team is going to Nationals -- high fives to this hard working and very competitive team. Romy Carlson's Team is going to Nationals! Tencap Play was fantastic this summer. Congrats to everyone who played! Programming Designed Just for You! 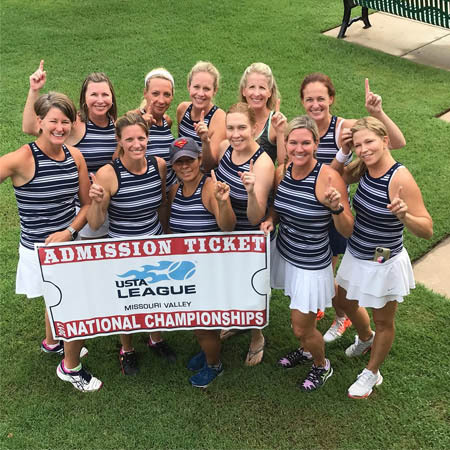 Adult League Play: Your hassle-free tennis play program. We schedule, provide tennis balls, and equitable play. Adult Drills and Programs: Try one of our great programs that will meet your tennis needs. Situational Drills, Grand Slam Clinics, Doubles Clinics. Play Tennis Fast: Share the game of tennis with your friends. Or if you are new / returning player this is a great program to get playing tennis. Junior Development Programming: We have junior programming for all ages, levels, and commitments. Our national caliber certified professional team is committed to your child's success. We are committed to your goals for your children. Junior Competitive Programming: This program is designed for juniors who are committed to playing high school varsity and playing USTA tournament tennis. This program has garnered amazing success in the past 2 years through the high caliber coaching. Visit the Overland Park tennis page to learn more! Look out for special Sneak Peak Classes or contact our National Extreme Cardio Tennis Leader Thiago Santos to get invited to one of these sessions. Here is our video teaser- 27 players, 12,528 calories burned, 568 high fives given, and tons of smiles. Eric Nelson has accepted a promotion as the Director of Adult Tennis at Genesis Wood Valley. We are sad to see Eric leave however congratulate him on this opportunity. Thiago Santos is our new Assistant Adult Director, he will be leading Cardio Tennis as our National Director of Cardio Tennis. He will also Manage our Stringing and Racquets. Michelle Hall is our new Assistant League Director. Courtney Sullivan is our new Junior Development Director. New Ceiling and LED Lighting: we are finally scheduled to get new state-of-the-art LED Lighting. This will increase our light 3X the current level. In addition, we will have a new ceiling installed. The plan is to start the end of September and finish end of October. Please be flexible as you may have to move courts or be next to the renovation. Free Court Time Ends On Labor Day: on Sept 5, we will start our normal fall / winter/ spring rates. Electronic Court Sheets: we are going electronic with our court sheets. This will reduce errors and provide future opportunities for our members. Create your own Camp: we had more than 240 registrations for our one of a kind adult programming. Don't worry if you missed it, we are planning 3-4 per year. Tip of the Month: "CHILL OUT!" That's right, if you lose a point or your opponent hits a great shot against you, don't worry. In an evenly contested match you only need to win 52-55% of the points. That means if you are playing doubles and they hit a great shot in the alley, keep track of how many times they missed or hit the ball right to you. For ever alley winner it usually costs your opponent two misses. That means you have the winning percentage. So play the percentages, don't play that you have to try to win every point. Good luck! Contact Mike Woody, National Tennis Director at woody@genesishealthclubs.com or 316-347-6777.